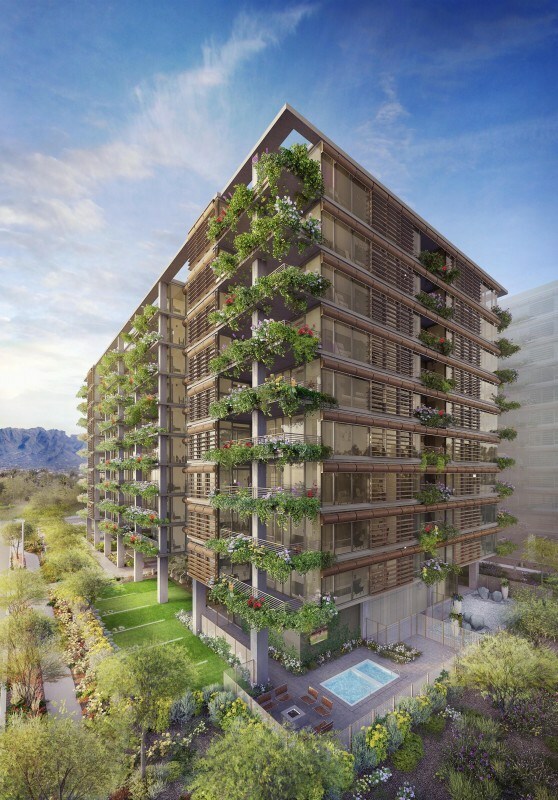 A boutique leasing tower in Scottsdale’s Kierland neighborhood is hosting a grand opening Thursday, Feb. 16. The 10-story tower is called 7160 Optima Kierland and sits at 7160 E. Kierland Blvd. Pre-leasing for priority list registrants is now underway for the community with residents moving in as early as April 2017, according to a press release. The community will feature 150 residences ranging from a studio to three-bedroom units which are available for 12- to 15-month leases with rental rates spanning from $1,425 to $5,275, a release states. There are 13 different floor plans available which feature at least nine-foot ceilings, terraces and floor-to-ceiling windows. Units will also There are four different designer finish packages available that feature different counter options, refrigerators and appliances with gas cooktops. Atop the tower is a sky deck which provides views as well as a host of amenities including a pool, sauna, outdoor bar and fire pits. Other amenities the tower will have are a movie theater, a conference room and a fitness center, which features a variety of training equipment, sports areas and yoga services. Services provided to residents include a controlled access system, secure indoor parking, concierge, 24/7 automated package and dry cleaning retrieval, 24-hour complimentary coffee service and complimentary towel service, among others. Residents may also access internet service from anywhere at Optima Kierland. All residences and amenities are networked for internet speeds up to one gigabit, with guaranteed minimum 150 megabits per second. The 5.5-acre grounds at Optima Kierland include walking paths, a pet park, a sculpture garden and shade trees.